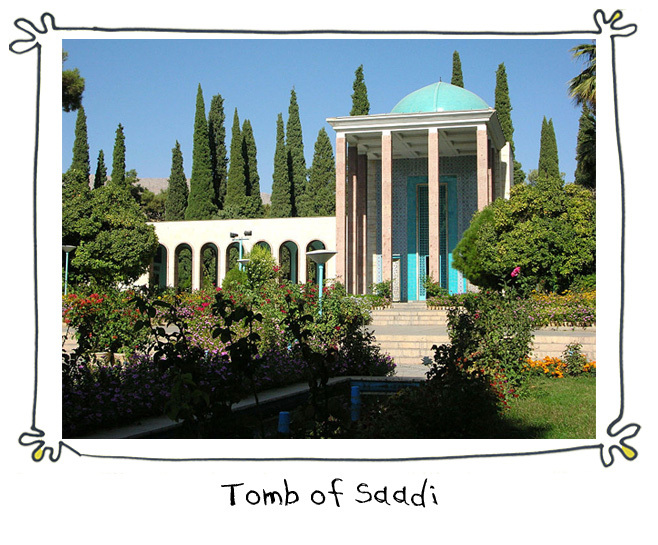 Shiraz is one of the most historic, storied, and down-right poetic cities of Iran. The birthplace of revered Persian poets Saadi and Hafiz, Shiraz is known for the splendor of its architecture, gardens, and majestically tall cypress “sarv-eh-naz” trees. 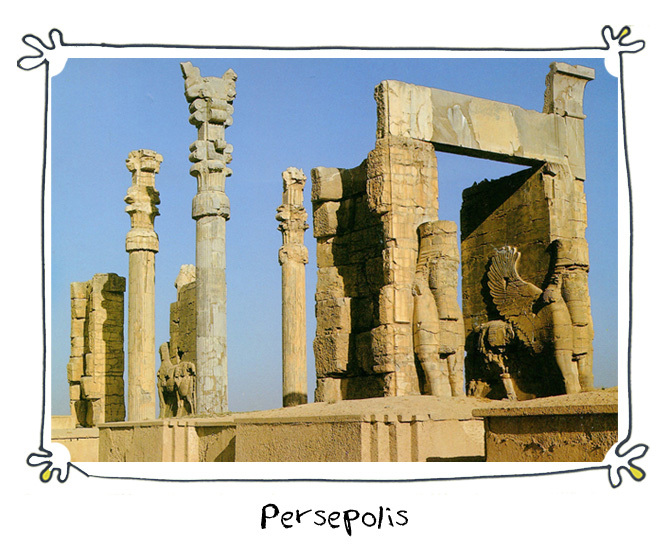 The ruins of Persepolis lie in its environs, and the beauty of its women is fabled in the country. Shiarz is, in sum, a city steeped in history, poetry and beauty. 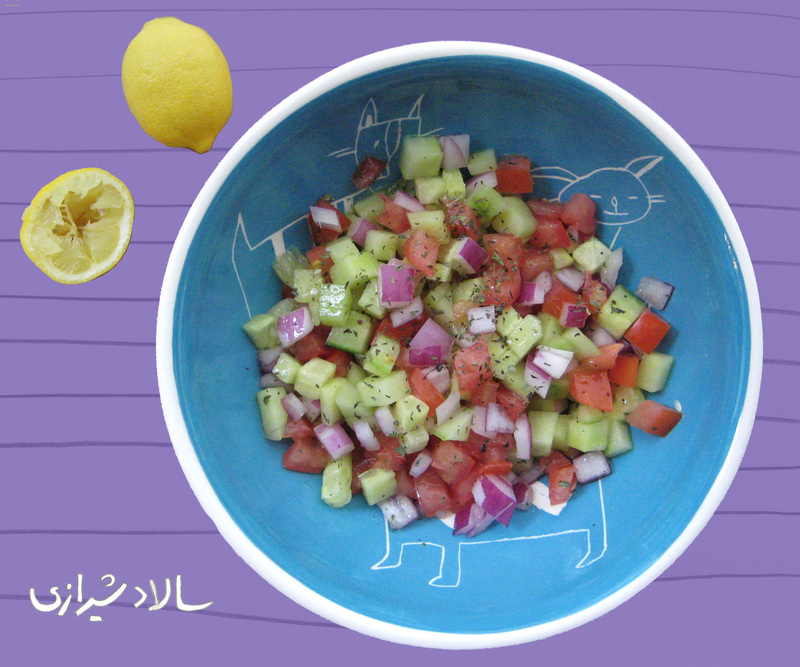 It makes sense then that salad Shirazi – literally: “salad from Shiraz”- elevates the perfectly pedestrian affair of a cucumber, tomato, and onion salad into one that is still simple but also kind of wonderful. All revealed in the recipe! In a serving bowl, toss diced ingredients with: chopped parsley (if you’re using it), dried ground mint, freshly squeezed lemon juice (err on overusing lemon juice than using too little), olive oil, salt, and pepper. Mix well. Salad Shirazi is a favorite summer-time side-dish, but also makes a year-round perfect accompaniment to any meat-centric menu like steak or kabob. It is also quite delicious on its own, and with some bread and cheese and walnut makes a fantastic meal: light, crunchy, refreshing, and zestily flavorful. Make it, and enjoy it, and nooshe jaan! As I’ve been eating loads of my Mexican style guacamole I’m getting more used to the flavours of lemon and a little red onion. Will have to try this later in the week. Can’t get small cucumbers. Will that make a huge difference? Hopefully not. Thank you Fae! I agree that it is a truly refreshing and invigorating salad. I hear you! But at least in LA you have options – in NY there are 2 max top 3 places that serve Persian food and of those only one is semi-decent. Oh good grief! I thought for sure there would be more in NY! Made this tonight with garden tomatoes, cucumbers and herbs, and red onion from the farmers’ market — perfect for a mid-summer’s eve. You’re right, it’s all about proportion and size of the dice. Yay! Love hearing this! Judging from the gorgeous pix on your blog I’m sure you made a really pretty one to boot. Thanks for sharing and noosheh jaan! I love they way you explain everything with the beautiful photos. I am definitely putting this website in my favo. Thank you! You know, I’m a relatively new to cooking myself and initially I found it all rather intimidating. That’s why I try to use the pictures to make the process much more immediate and friendly, so it’s the greatest compliment to get your feedback. You’re interested in Persian cooking then?